Tiiona Alorr was identified as Force sensitive shortly after her birth aboard a Republic medical frigate, during a blood test. While her father had favoured the idea of sending her to the Jedi, her mother had not. This became ironic when Tiiona’s parents split; her mother remarried rich. When Tiiona broke her arm at her eighth birthday party, she was admitted to a local hospital. Whilst there, she was given many overdue tests. Her Force sensitivity was highlighted again. Both Tiiona and her father were for it; her stepmother didn’t seem to care either way. Tiiona’s father remarked before they parted ways that he’d assumed she had been too old by this point, otherwise he would have provided the opportunity sooner. The two were used to long distance, while one served in the Republic navy. 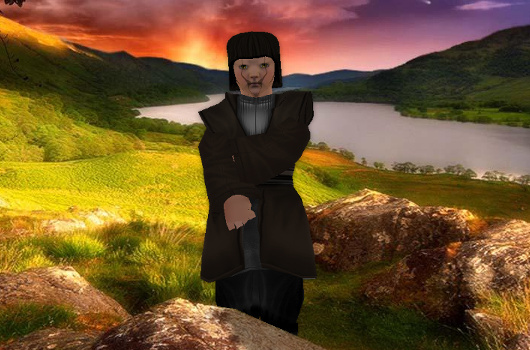 Tiiona approached the Jedi Temple on Rannon in high spirits.